It is known that Chiyaan Vikram is currently busy filming Gautham Vasudev Menon's Dhuruva Natchathiram. We had previously reported that the team was filming at Coonoor and now, they have finished the schedule and have shifted to Chennai for another 3 day long shoot plan. 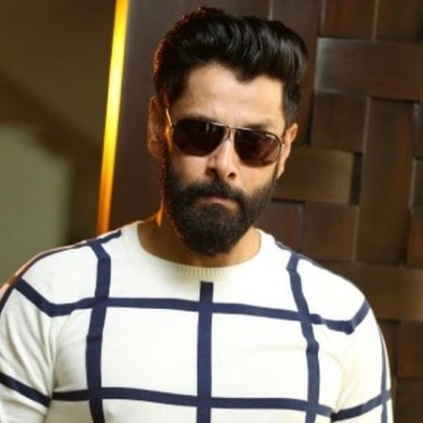 After completing the schedule at Chennai for Dhuruva Natchathiram on February 8th, Vikram will be moving on to director Vijay Chander's project from the 10th of February. Our sources inform us that Vijay Chander project is likely to be a gangster flick and it will be really interesting to see Vikram play the role of a gangster but an official word from the team is awaited. Chiyaan Vikram Directs A Song For The Spirit Of Chennai. People looking for online information on Chiyaan Vikram, Gautham Vasudev Menon, Vijay Chandar will find this news story useful.